A Mongolian miner takes his sick daughter away from the heavily polluted city to see the shaman. Upon finding a new home with the reindeer herders in the forest, he learns that this world too, is changing. SIL VAN DER WOERD (Tiel, PAÍSES BAJOS, 1982) & JORIK DOZY (Amstelveen, PAÍSES BAJOS, 1987) comenzaron a codirigir en 2017. En sus vídeos musicales y cortometrajes combinan lugares exóticos, fotografía impresionante y efectos visuales de alta calidad para contar historias sinceras que a menudo tocan temas ecológicos y humanitarios. En 2018, sus obras recibieron 28 premios. El video musical "Birthplace", sobre la contaminación plástica en nuestros océanos, ganó el premio al Mejor Vídeo Musical en el prestigioso festival de cine CamerImage (Polonia) y el Video Of The Year en los AIM Independent Music Awards (Reino Unido). 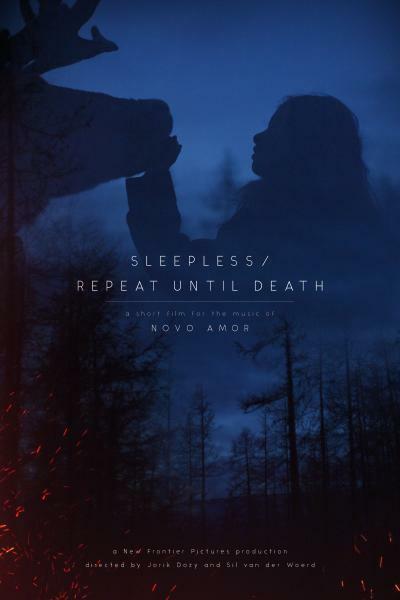 "Sleepless / Repeat Until Death" es su cuarto trabajo como directores, después de "Birthplace" (2018), "Epoch" (2018) y "Terraform" (2017). SIL VAN DER WOERD (Tiel, THE NETHERLANDS, 1982) & JORIK DOZY (Amstelveen, THE NETHERLANDS, 1987) started to co-direct in 2017. In their Music Videos and Short Films they combine exotic locations, stunning cinematography and high end visual effects to tell heartfelt stories that often touch on ecological and humanitarian issues In 2018 their works received 28 award wins. Music video "Birthplace", about the the pressing issue of plastic pollution in our oceans, won Best Music Video at the prestigious CamerImage film festival (Poland) and Video Of The Year at the AIM Independent Music Awards (UK). "Sleepless / Repeat Until Death" is his fourth job as directors, after "Birthplace" (2018), "Epoch" (2018) and "Terraform" (2017).